This is a 4 litre EVA pack with two ports; off one port is a 400mm tubing inlet line terminating in a capped male luer rotating cuff fitting; the second port is a twist-off spike port. There are two types of clamps (Non-Return Slide Clamp-blue and Six Tooth Click Clamp-white) slid onto the 400mm tubing. The production batch number is stamped on the top shoulder of the EVA bag. 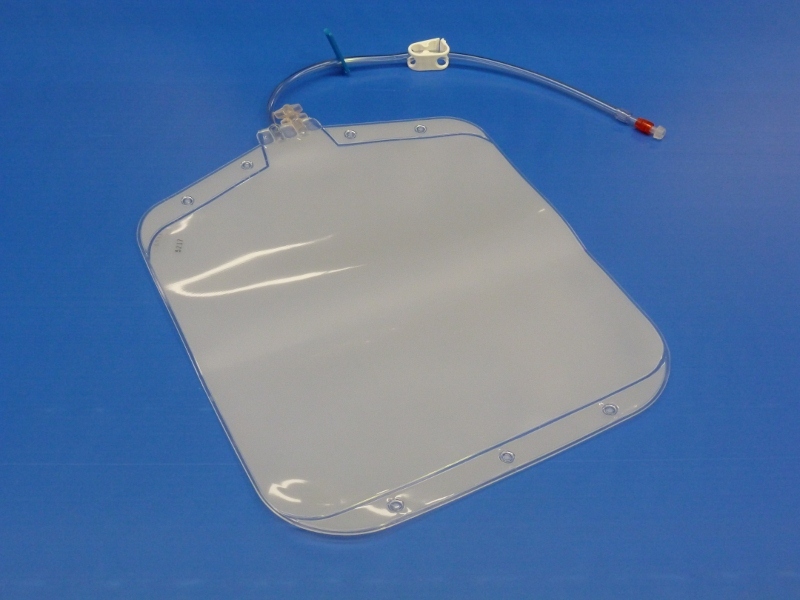 The product is supplied sterile in an individual polybag.